It’s still–unbelievably–sort of a hidden gem in the city. 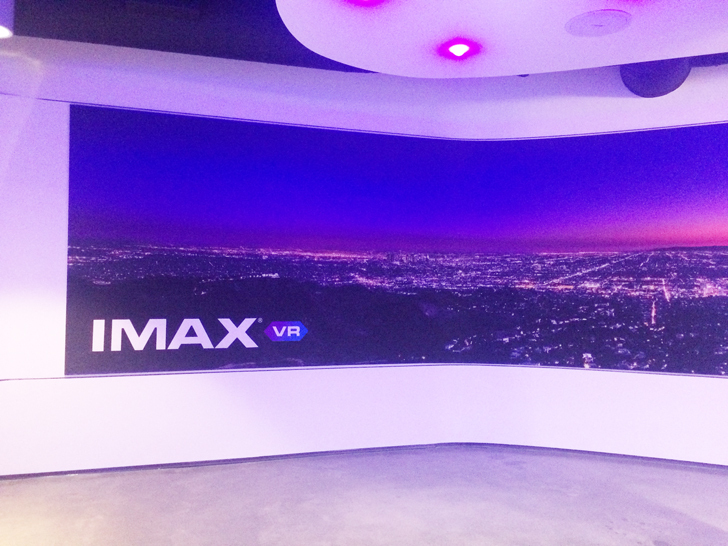 IMAX’s first virtual reality experience center sits right across the street from the Grove (at 157 South Fairfax). 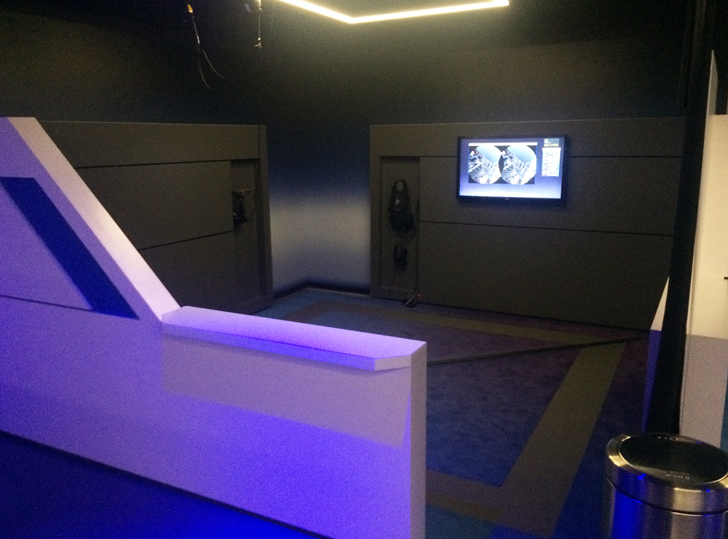 It’s a space dedicated to VR, where us normals can go to inexpensively indulge our ultimate escapist fantasies. The center features Star Wars: Trials on Tatooine (fight Stormtroopers! ), and an assortment of decidedly less fighting-intensive experiences for all ages. In the pod, an attendant helps you suit up—headset, backpack, headphones, handheld controller—and then boom, you’re in another world. 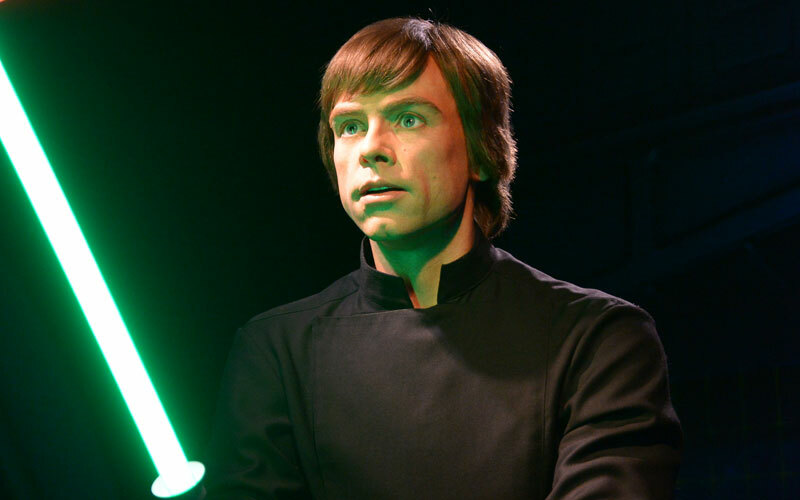 In the Star Wars experience, you emerge on Tatooine, where the Millennium Falcon descends and lands right next to you. Then, you can fire up the old lightsaber and wave it wildly in the general direction of some blaster-wielding Stormtroopers as they pile out of an Imperial Shuttle. The VR tech is equipped with position-tracking, so you can literally walk (or jump, or crawl) around within the virtual world—provided you stay within the confines of the pod. A grid of lines will appear in the virtual space to warn you that you’re nearing the edge. For now, most of the experiences are available for at-home play—if you’re willing to shell out nearly a grand for all the gear required to play them. And the IMAX VR center will surely be expanding its offerings in the near future. Its website even mentions facing off against a Sith Lord, so you can be sure there’s more content to come from IMLxLAB, which created the Trials on Tatooine experience (and has some pretty wild Star Wars mixed reality in the works). In the meantime, a desert planet far, far away is waiting to be explored—and all you have to do to get there is put on some dorky looking goggles. We live in the future, people.